by Darlene Tonelli, August 14, 2018. Alright, so now we’re in honest territory. How are you feeling? Last week, we asked you to look at the pressure lawyers face to be right all the time. We are expected to be the right fit for our firm, to wear the right suit, to maintain the right status inside and outside the office and, of course, to give the exact right advice to our clients. The expectations placed on us as professionals can sometimes lead us to rely on various crutches to help us out, whether it be alcohol or drugs or shopping or eating less or perhaps eating more. And our reliance on these crutches can be particularly heavy if we are in the wrong job – and we know it. We also asked you to think about what you’re doing in your life outside of work that is allowing you to dull the pain of being in the wrong job. Then we asked you to stop doing that. 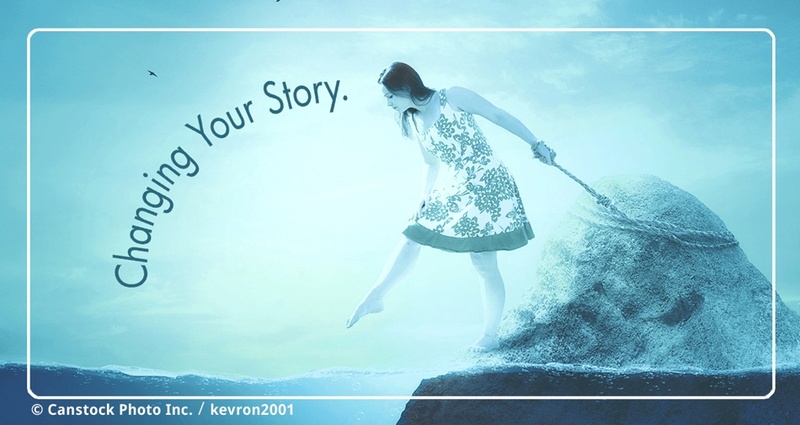 The truth that some of your behaviours outside work are a part of your story and are keeping you stuck. So, if your story after week 2 was “I can’t leave my job because I need to make $X/year,” but in week 3 you realized that your shopping is out of control because you hate your job and use shopping as a bright light in an otherwise awful week, we have a window here. The details don’t really matter – again, no judgment. I like finding new things I can improve upon – it’s like the Leonard Cohen lyric: “There’s a crack, a crack in everything. That’s how the light gets in”. What matters is that you kick off the process. Some addictions and issues (like disintegrated family relationships) are more thorny and intractable than others. So if this process is uncovering some bad stuff for you, please do get professional help or hit up a 12 step program. There are a whole bunch of them. Just do it. Because newsflash: lawyers have problems too. It’s not true that we’re always right, and there is no shame in asking for help. Plus, all the interesting stuff happens when the light gets in! Using the Steve Jobs quote we referenced last week, if today were the last day of your life, would you want to do what you are about to do today? If the answer to that is yes – great! So happy for you. This is the holy grail. Write out the things you most enjoy doing in your free time (be specific, and make two columns – what you are doing, and how you feel when you are doing those things). For example: I love playing the guitar, because I feel like it’s something I can control and perfect if I practice enough. Or, I love being at the park with my kids because I feel like I’m playing and they get to see the funny side of me that I keep buried at work. Or note lifelong patterns of interest: I have gone to concerts every week since I was 16 years old. Realize that you KNOW how to do this. You know how to feel good when doing things. Next: Make a list. What jobs that you are aware of (don’t be limited by thoughts of what is possible, etc.) that might fit in here? When I thought more about it, I realized I had a lifelong love of music and many years of already established knowledge in that field that I could bring into a new role, whatever that might be. As you know from the first post, my dream was to work in law but on subject matter that I cared about and loved. I just didn’t think it was possible to do it. After making this list, I did some research. There were several lawyers who practiced artist-side music law in Toronto, and about six lawyers at major record labels in Canada. Armed with this knowledge, when that Contract Administrator job at a record label came up, I jumped at it! I knew that this was a small pool to break into, and I did not have relevant experience to put me at the top of the list for any of the lawyer roles. From my first day on the job, though, it took me three months to be promoted into a lawyer role, and five years after that to become a Vice President and head of the legal department. And in the process, I got to work on all the key digital deals that form the basis of the way we listen to music now. And one reason I was able to move up so quickly was because I deeply cared about the industry and the people involved in it, and I intuitively understood it from all my prior years of “research.” All that knowledge about grunge music and the Seattle scene became dinner conversation at “work functions” – who knew? I share this personal detail only so you know I’m not sending you on a wild goose chase that I haven’t gone through myself. It worked for me. So maybe it can work for you. This week, if you’re working through these steps, I’d love to hear from you on how it’s going. You can email me at darlene@interalia-law.com or message me on social media at the links below. Next week, we’ll show you how to write your new story! This is getting fun. Hopefully you’re already feeling less imprisoned by circumstances and more in control – where lawyers most like to be. Coming up: “Day one, or one day – you decide”.